While traveling is an absolute joy for our family, we also love to welcome friends and family into our home. Some people might find opening their home to overnight guests a chore, but we fully embrace it. Recently my sister-in-law stopped in for a stay and I decided I wanted to do something a little special for her. It all started around a box of K-cups. She likes a darker coffee than we buy typically, so I decided I would buy some Starbucks Café Verona K-cups to help make her feel more at home in our home. Then I thought, “why not pick out some other house guest gifts too”. So, I decided to put together a welcome gift basket. I couldn’t wait to share a photo of the basket and some ideas of house guest gifts so you can put together a welcome basket for your own friends and family. Hopefully these ideas will help you embrace welcoming your next guests into your home. Do you have any tips or ideas for how you make your home welcoming for guests? What are your favorite house guest gifts to give or receive? YES!!!! Thank you for including a clock in their bedroom. My mother-in law will NEVER put a clock in our room when we come to visit. She says that we are on vacation and we don’t need to worry about the time. O.k maybe if this was Vegas but it is not and I have 2 little boys and a schedule to maintain! Your post is perfect! Thanks so much Stephanie! I also love having a clock visible when traveling. I can use my phone, but a one you can quickly glance at is ideal. Thank you for stopping by! When I was growing up, my mom never welcomed overnight guests without flowers. I do the same thing, but I hadn’t really considered an adorable basket like this. Thanks for the ideas! Love the idea of fresh flowers Abby. That would be a nice welcome gift! What a nice welcome gifts those are. I love making my guests comfortable in our home. Usually I gave them a huge empty closet I figured who wants to live out of a suitcase then I also provide a suitcase stand. (yes, just like the on in the hotel) my guests love it very much and oh a large long mirror. These are the things I would expect when I go to a hotel room or someone’s house. So it is natural that I provide those for them. (this is just me, though!) But your welcome gifts will add a sweet touch and I will do that next time we have a guest coming. Thank you so much for the inspiration. Have a good one! How fun Ellya! I love the idea of a suitcase stand! I found a tutorial on Pinterest and pinned it because I loved the idea so much. We have a small space in our closet with some hangers so our guests can hang a few things. I think it’s been plenty of room. The full-length mirror is also a great added hospitality touch! I love this idea! My best friend and her husband are coming to visit this weekend and I’m going to have to use this idea. I found you on Pinterest and I am your newest fan! I have a link party every Wednesday called The Wednesday Round Up http://lovepastatoolbelt.com/?p=2470 I would love for you to come link up! Glad you liked the ideas Emily! I’ll definitely hop over to your party! I always make sure there are plenty of hangers in the closet and empty drawers in our guest bedroom. Also at least one dressing gown/bathrobe as most guests don’t have enough room to pack one. Great thoughts Kriss! Love the idea of providing a robe. These are wonderful tips! We travel a bit and welcome guests into our home a few times a year. This would be wonderful to put together for them! Happy Sharefest! Thanks NJ! It was fun to think of little extras that would make her stay more comfortable. Thanks for visiting from Sharefest! Your sister in law must have felt so special that you took the time to think about her ahead of time! So thoughtful! She absolutely loved the basket, and quickly took a picture which she then posted on facebook! I believe that being hospitable and welcoming others into your home is an important part of life, but I hadn’t thought of doing something like this for my guests! I think this is such a lovely and generous idea! Thanks Rachel! It’s fun for the giver and the receiver! Thanks for stopping by Bobbie! Glad you like the basket! I love how you included a toothbrush and toothpaste in the basket. It’s something so many forget, and if there isn’t one there you have to run and buy one. Hi Rene! I’m sure your guests will feel very welcome and you’ll love the feeling of making them happy! I love your list! I recently added a laundry hamper for towels outside our guest bathroom. I never thought of it when we had a one story home, but the first time having guests upstairs made me realize they had no where to put dirty towels, etc. Thanks for linking up at Thursday STYLE! Hi Melissa! When our family stays for a long visit we do give them a hamper. It’s a great tip – thanks for mentioning it! What a fabulous idea! I want to be a guest at your house :) Thanks so much for linking up at Thursday STYLE! Thanks for stopping by Angela! It’s fun to share a little bit of hospitality with our guests! Do you have some gift ideas for welcoming families to their new homes/apartments? Hi Vicki! Tea towels are always great and kitchens often can handle a towel that doesn’t fit the exact color combination motif. Some nice dish soaps or cleaners and a great tea towel would make fabulous housewarming gifts. Another option is to research and discover some of the favorite local dining locations and provide a gift card. Those are great ideas. I’m trying to come up with enough ideas to do welcome boxes for new homeowners. Gorgeous Ideas here! I also like to leave a welcome card in the guest bedroom, including our Wi-Fi password, where the spare key is etc, so our guests feel like they are wanted! Its nice to have everything available for the guests as soon as they arrive so they don’t have to ask for anything, it isn’t a good feeling having to do this when you travel! I love the idea of an extra key and printing out the wifi code! I have a replenishable basket in my guest room. In addition to the other items, I add a spray deodorant (NOT a roll-on! ), a nice body wash, shampoo & conditioner for the shower. A nice body lotion & face cream, Q-Tips, and nail clipper set (use a discount pharmacy as these should not be shared). 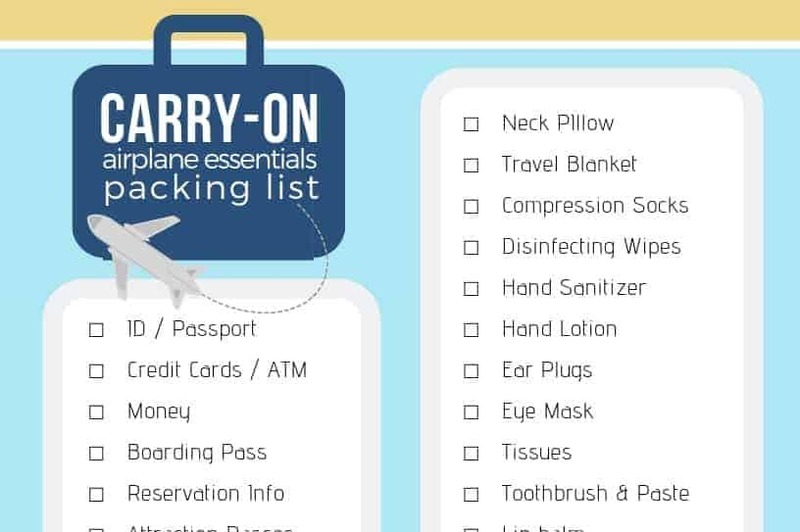 This is especially helpful to friends/family traveling by air who have to check baggage just because of the 3.4 oz rule. I usually put together a pretty little “ladies only” |box, which includes feminine care products and disposal bags. I’ve had guest say that they were embarrassed to ask for them. So either in the basket or discreetly labeled in the bathroom is a good idea.